Could it really be true? 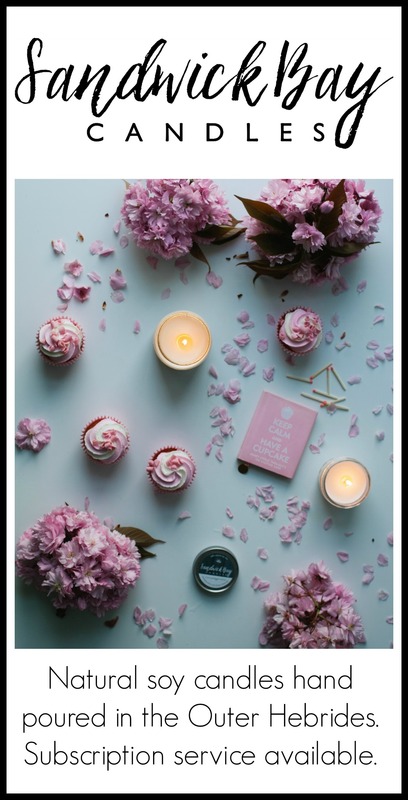 Has spring finally sprung?! Who knows. It may well be snowing again next week but for now lets just enjoy the sunshine, okay? 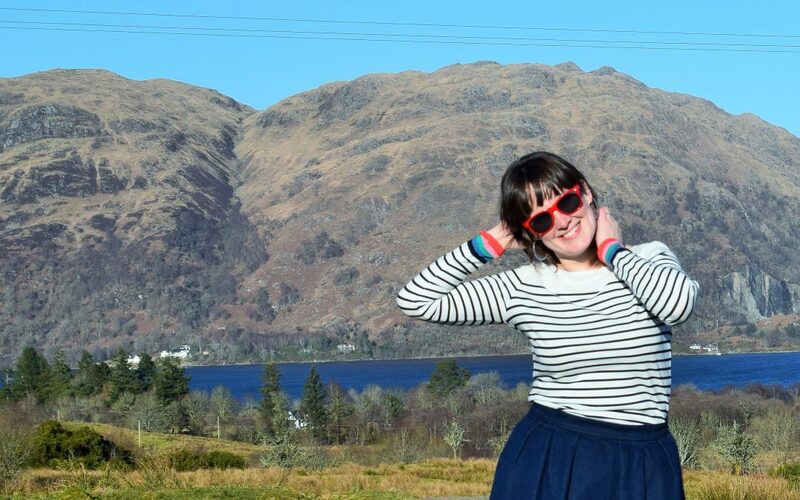 And what better way to celebrate the end of hairy leg season than with a new Boden breton?! Actually, that’s a good idea – I’m totally going to make that a seasonal thing! 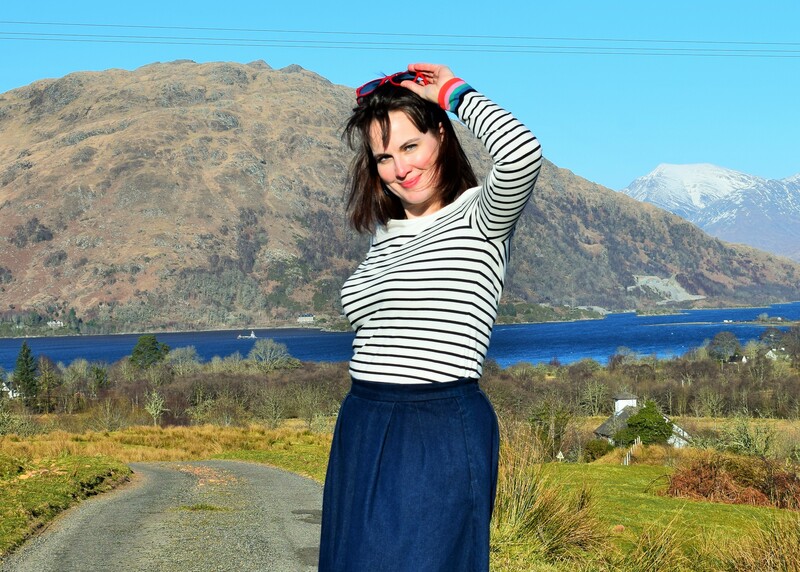 So let me introduce you to my spring Boden breton. I actually bought this top last October but it was out of stock so it was a lovely surprise when it arrived in the post. I then put it in the wardrobe and completely forgot about it again until I came across it the other week. Maybe that makes it my winter breton, which would mean I still need to purchase my spring one? Ooh yeah, I like that idea! This particular colourway is no longer in stock but Boden do have a very similar version which I am also tempted by. 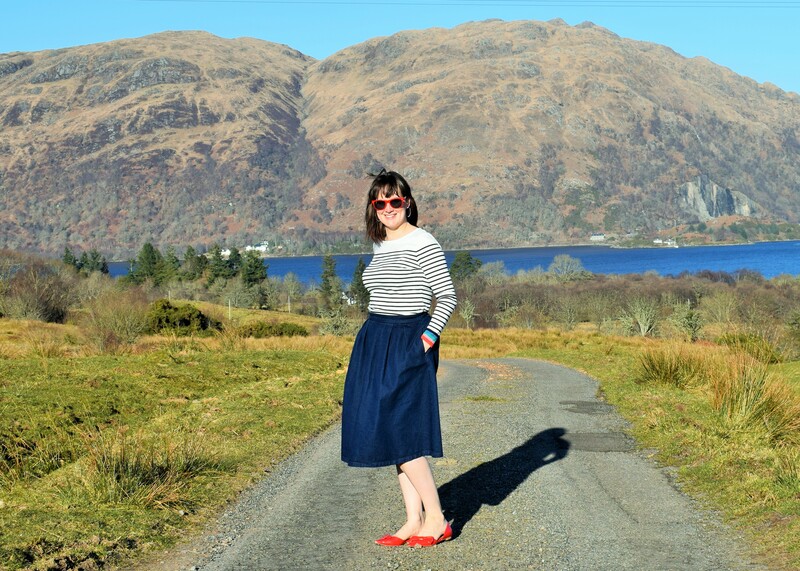 I love the pop of colour on the sleeves so I kept the rest of the outfit simple with a denim midi skirt from Very and my favourite red flats from Next. They’re looking a bit tired nowadays but they were the obvious choice of shoe for this outfit. Also, how awesome are the red sunglasses?! I flipping love them. Randomly, they were a freebie that Andy brought back from a fish farming conference…yep, that’s actually a thing! On days like this I feel so lucky to live where I do. 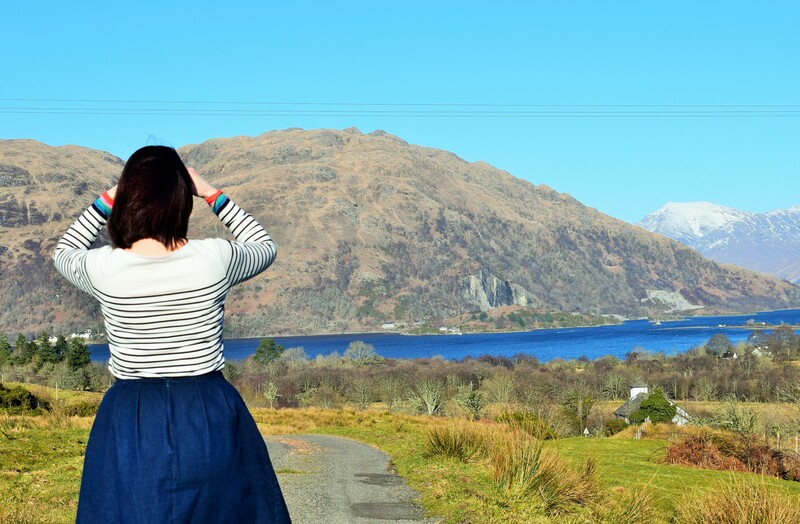 Just look at those views of Loch Etive! 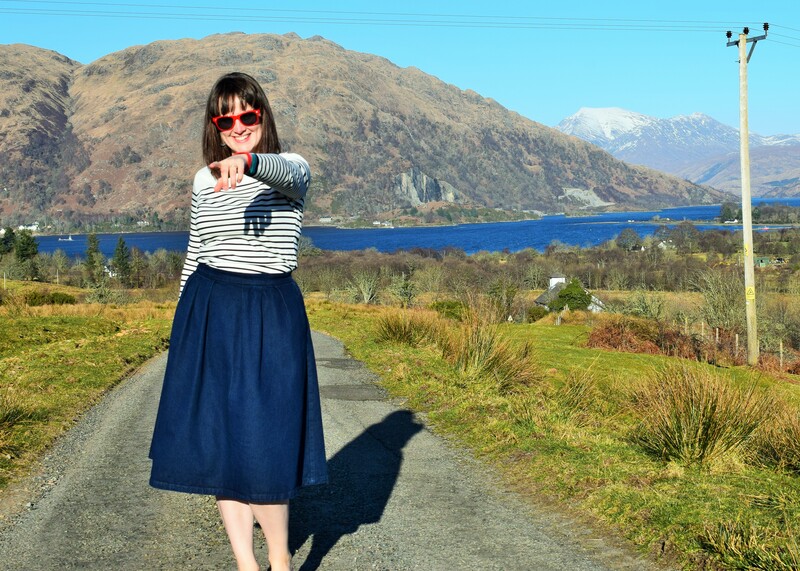 We have so many beautiful mountains, lochs, forests and glens in Argyll – you really can’t beat it when the sun shines. I’m hoping we get a decent summer this year so that we can get out exploring a bit more. At the grand old age of 35 I’ve actually started driving lessons and I’m determined to pass my test before June so that we can make the most of the school holidays. Believe me, 6 weeks is a bloody long time when you’re stuck in a rural village with 2 kids! 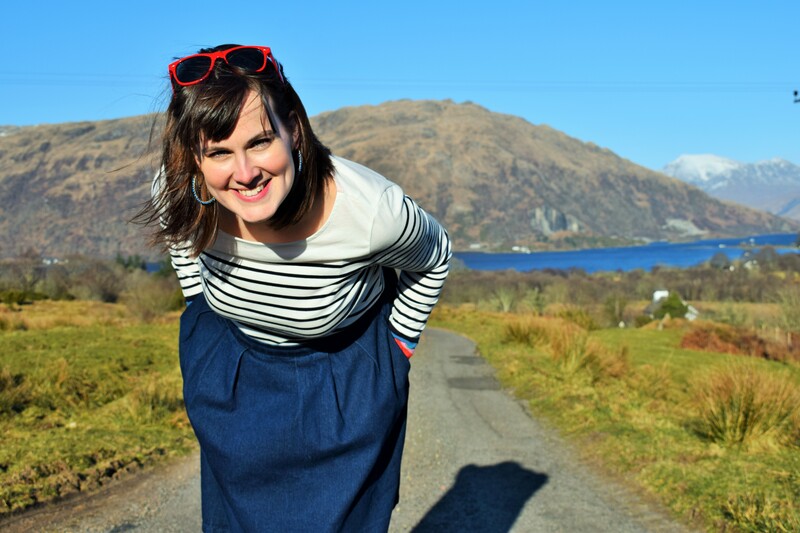 If you’ve been to Argyll I’d love to hear about your favourite places to visit. I made a list of things I wanted to do and see a couple of years ago but embarrassingly I’ve still not been to quite a few of them. 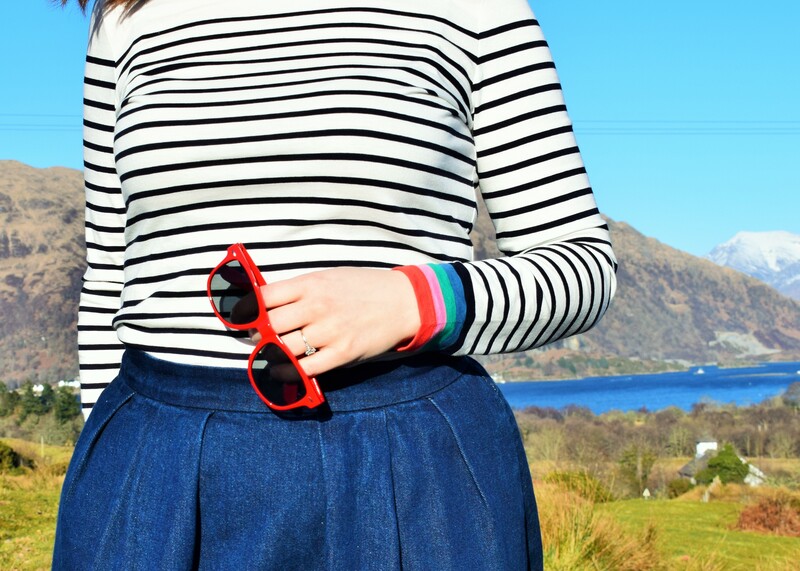 Also, hands up if your a Boden breton lover!